Landscapes are about light and space. They necessarily have to be. One marks the distance between things – front, middle and back – the space unfolds while the light reveals. And this two fold understanding of painting can be metaphorical. Once the Modernists grasped this concept landscape painting became the gateway to abstraction. One could make a picture purely through process – as long as it adhered to these two things. Think of it – pools of paint, fields of color or copses of brushstrokes – all made without images of the world. Ambiguity is the key – if something is unpainted – if the canvas is raw – is it open or closed, ground or sky? But something always gets in the way of this ambiguity. 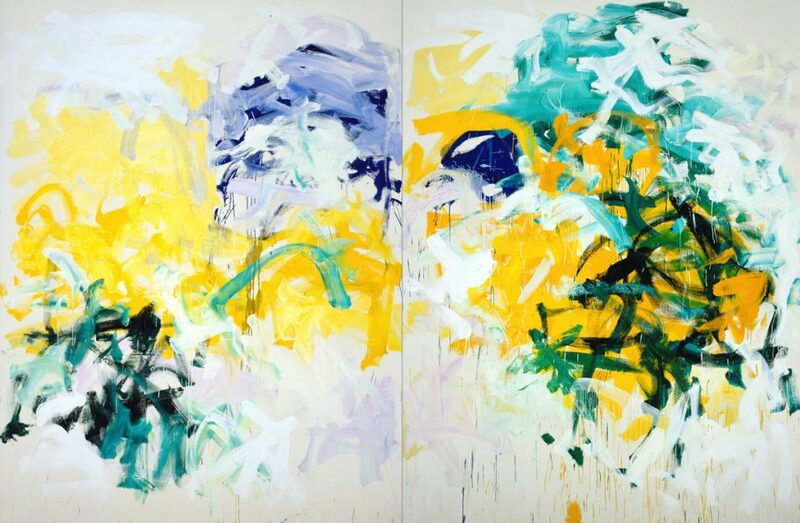 And you can see it in Joan Mitchell’s Sunflower above or Trees 1 below. She draws. This is a drawing made with paint. Even though the image is “abstract” Joan reaches out to the world, sees it, feels it and draws it. Drawing and gesture become the enemies of purity and lyricism. Joan is an Expressionist – caught right here, right now – in this imperfect moment. Beautiful. By the mid-50s Clem Greenberg was waxing lyrical about the Impressionists in an attempt to promote his newly-minted Color Field painters. He had moved on from the 2nd Generation of AbEx gesture painters with a vengeance. He wanted a more bucolic kind of abstraction – more Barbizon in tone, more idyllic in structure. 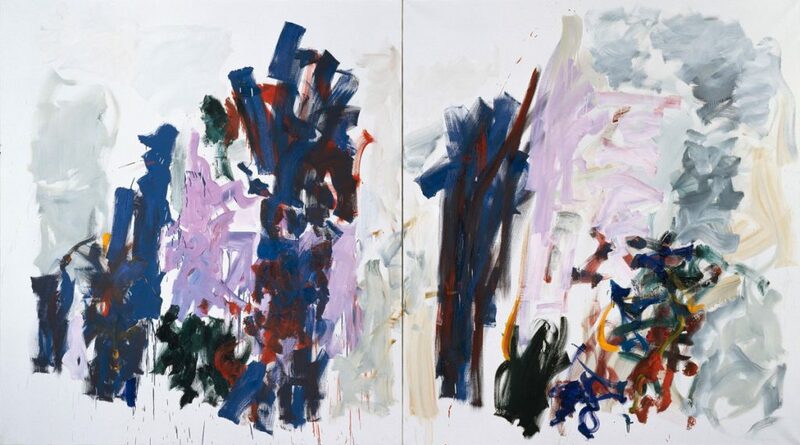 (According to Mitchell, she was “kicked out” of a gallery owned by Lawrence Rubin after Greenberg told the dealer, “Get rid of that gestural horror.”) [Peter Schjeldahl on Joan Mitchell] That’s about the time that Joan left for Paris, and later moved into a house just up the way from Monet’s. In New York Joan’s AbEx process painting had alluded to landscape. In France, especially in her later work – the paintings actually became landscapes.